DAVIS—Each summer as students and children head off to church camps, there is a buzz of excitement. As the kids are away, there are always parents, family and friends who are back home praying for each student. With a total of 6,583 life-changing decisions recorded between CrossTimbers Children’s Mission Adventure Camp and Falls Creek Baptist Conference Center, there were at least 6,583 prayers answered this summer. 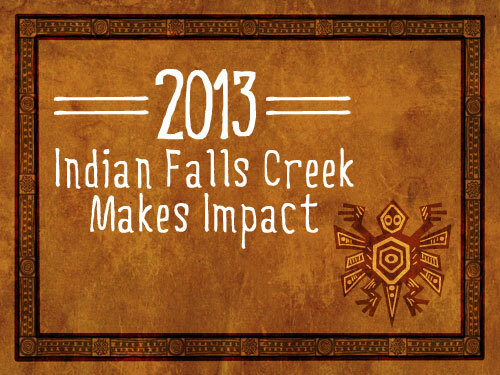 Falls Creek began about 10 weeks ago and concluded with 6,185 total decisions. While many of these decisions occur during the evening tabernacle experience, others are made throughout the day. Andy Harrison, Baptist General Convention of Oklahoma (BGCO) Falls Creek program specialist, was able to lead a young lady to Christ in the morning. Falls Creek experiences an overflow of the Holy Spirit throughout the summer with many divine encounters. There were 2,149 total recorded professions of faith, 263 assurances of salvation, 2,543 restoration decisions, 507 special needs or other decisions and 723 students who were called to missions. Amy Benton, a soon to be junior at Oklahoma Baptist University, worked her second summer at Falls Creek in the Wynn Center for World Missions. Benton also worked in the front of the tabernacle during the invitation time each evening. Each night, she watched hundreds of students go to the front to make a decision. Being on staff at Falls Creek seems like it can become tiring. Benton explained that it is easy to slip into a weary mindset toward the end of the summer. Falls Creek holds many life-changing stories from years of camp experiences. Planning for next year has already begun. While changes might be coming for the look of Falls Creek, one thing is for sure, the purpose of the camp will always be a place where students can radically encounter God and prayers are answered. CrossTimbers ended with 398 total decisions, 220 being professions of faith, but it all began with 39 staffers and eight weeks of summer to conduct 10 four-day camps. Among the staff members was Somi Lee, a Korean student at Southwestern Oklahoma State University. Lee first heard about CrossTimbers during her interview for the Falls Creek accounting staff. It was there that God pushed Lee to leave her comfort zone and follow His leading and Lee agreed to become a CrossTimbers’ staff member. Lee experienced God’s blessing through her obedience, but nothing compared to her experience during one of the final weeks of camp. Having a strong international program, Oklahoma City, Northwest drew several international students into their children’s ministry. Out of the 40 campers Northwest took to camp, two were Chinese and four were Korean. The ministry was blessed by a Chinese speaker who accompanied the children to camp; however, Danielle Hill, Northwest’s director of children’s ministry, began praying for God to break down the language barrier with the Korean children. God was at work even in the details as He put each piece into place for a great week at camp with the four Korean siblings and Lee. Even through Lee’s fears and doubt, God proved Himself faithful. God used several other staff members to encourage and push her to step out of her comfort zone. Each staff member is divinely selected with a purpose to spread the Gospel to each child who enters the campgrounds. Lee’s story is no different. “The last night of Chapel, my friend, Rayleigh Sun, who was our Chinese sponsor,” Hill explained, “said the two girls asked her ‘Who is God?’ She explained as best she could in English and then came to find me. 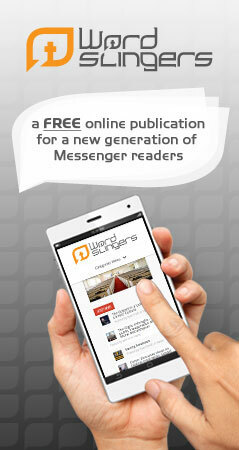 We talked and knew that we had to be sure Lee clearly communicated the Gospel to them in their native language. Hill watched Lee pray with them to receive Christ. These four siblings are only a small portion of a bigger picture God created this summer through CrossTimbers and Falls Creek. Each child and teen who made a decision was an answer to someone’s prayer, and part of a more mysterious divine orchestration through the hand of God. Falls Creek and CrossTimbers not only have a legacy of changing lives, but they also have a legacy of revealing a God Who works all things for His glory, especially through 6,583 answered prayers.